Our goal is to connect people with the best local experts. We scored roofers on more than 25 variables across five categories, and analysed the results to give you a hand-picked list of the best roofers in Dallas, TX. Aspenmark Roofing & Solar has been providing Dallas-area customers with exceptional service and quality materials for more than a decade. The residential and commercial roofing contractor specializes in performing top-notch inspections, repairs, maintenance, and roof replacements. Customers can rely on the insured and bonded business to maintain a clean, safe job site, and deliver a superior finished product. Authority Roofing commits to providing Dallas-area customers with the highest quality materials and impeccable service on every job. The trusted professional roofing contractor specializes in composition and metal roofing installation, flat roofs, storm damage assessments, roof repairs, and more. Authority Roofing makes customer satisfaction a top priority by employing highly trained roofing professionals and offering the lowest possible prices. Coxco General Contractors has been providing Dallas-area customers with high-quality roofing for nearly 40 years. The A+ BBB rated business specializes in providing services that enhance the security, beauty, and value of any property. Coxco General Contractors features a team of roofing professionals with the expertise to handle any roofing problem or need in a quick, efficient manner. 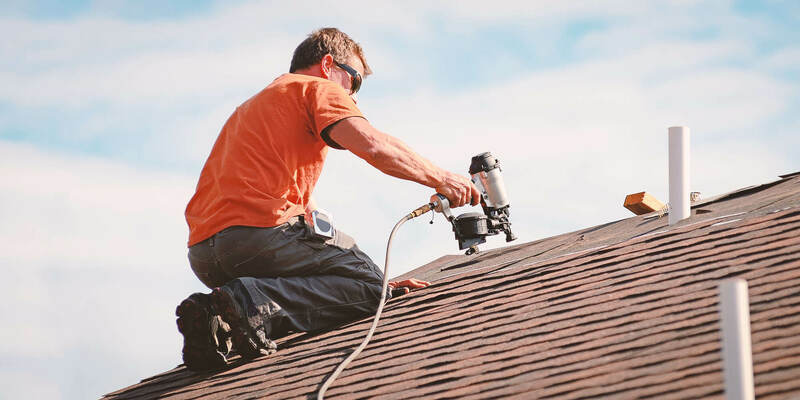 Customers can rely on the experts to deliver roof replacement, quality repairs, thorough maintenance, and comprehensive inspections that exceed expectations. Elevated Roofing specializes in ensuring trouble-free roof repair, replacement, and maintenance services. The Dallas-area contractor commits to providing residential and commercial customers with the highest level of quality work and service. Elevated Roofing features highly trained expert roofers using only top quality materials on every job. Elite Roofing and Consulting are experts in all types of roofing and commit to getting the job done right. The Dallas-area business specializes in providing individualized roof warranties, 24-hour emergency service, and best-in-class roofing materials. Residential and commercial customers can rely on the family owned and operated, fully insured business to deliver high-quality services at competitive prices. Hester Roofing & Gutters is a one-stop-contractor for high quality, dependable roofing services. The Dallas-area, family owned and operated company specializes in performing expert repairs, re-roofing, maintenance, and complete overhauls for homes and businesses. Customers can rely on Hester Roofing & Gutters to deliver quality work, outstanding service, and the best roofing products on the market. High Performance Restoration offers customers a full spectrum of services to help enhance the beauty, durability, and value of any property. The Dallas-area roofing contractor enjoys hundreds of satisfied residential and commercial customers, and over 12 years of experience in the construction industry. High Performance Restoration specializes in providing innovative solutions and high-quality products at a great value. Customers can rely on the trusted business to handle everything from tear-off to clean-up. Hometown Roofing has been providing Dallas-area customers with fast, reliable service for more than 15 years. The A+ BBB-rated, Angie’s List Super Service Award recipient specializes in delivering residential and commercial roofing customers with expert repair, roof replacement, and custom roofing services. Clients can rely on the certified roofing contractor to use only the highest quality supplies and products on the market. JNT Developers provides Dallas-area customers with a one-stop-shop for all roofing and remodeling needs. The trusted roofing contractor enjoys an A+ BBB rating and has extensive experience in a highly competitive local real estate market. Residential and commercial customers can rely on a team of roofing professionals to deliver quality work and complete projects in a timely manner. Linear Roofing & General Contractors feature responsible, reliable professionals to inspect, repair, restore and replace roofs on homes and businesses. The Dallas-area contractor maintains full licensure, insurance, and has over a decade of experience in the roofing industry. Linear Roofing & General Contractors commit to providing the highest level of service and quality results that customers expect. M & M Roofing, Siding & Windows specializes in providing Dallas-area customers with professional services that enhance the beauty and value of any property. The professional roofing contractor maintains the necessary licensure and insurance to execute safe and efficient roof repair and inspection services. M & M Roofing, Siding & Windows also has extensive experience installing and replacing all types of roofs from standard composite to specialty wood shake style, and metal roofing. MEIS Roofing & Construction commits to providing the most courteous, prompt, and high-quality service available to customers in the Dallas area. The fully insured roofing contractor specializes in providing professional residential and commercial roofing services using the highest quality materials available. MEIS Roofing & Construction makes satisfaction a top priority by working closely with clients to find solutions to meet individual styles and budgets. Customers can rely on the A+ BBB rated company to employ qualified professionals and use the latest technology to deliver fast, reliable results. Metal Roofs of Texas has the expertise to enhance the aesthetics and durability of any property with a quality metal roof. The Dallas-area family owned company specializes in providing customers with high-quality metal roofing systems that offer superior protection for homes and businesses. Fully trained and certified roofing technicians ensure customer satisfaction by providing outstanding service and paying meticulous attention to detail. Customers can rely on the experts at Metal Roofs of Texas to provide a range of services including new roof installation and complete roof replacement services to ensure a high-quality roofing solution. Pearson Roofing has been providing Dallas-area customers with efficient roofing solutions for nearly 40 years. The trusted full-service roofing contractor maintains the necessary licensure to perform residential and multi-roof restorations as well as storm repair services. Customers can rely on Pearson Roofing to deliver high-quality work with meticulous attention to detail on jobs of all sizes. Regent Roofing has been a top-notch provider of professional roofing services for over a decade. The Dallas-area business specializes in delivering high quality total roof replacement, repair, emergency roof leak services, and inspections. Residential and commercial customers can rely on the fully licensed, bonded, and insured roofing contractor to handle jobs that enhance the curb appeal and value of any property. Renown Roofing and Construction is a go-to expert for residential, commercial, and industrial customers in the Dallas area. The trusted roofing provider specializes in working with roofs of all types including sheet metal, flat roofing, coating, asphalt designer shingles, tile, and more. Customers can rely on Renown Roofing and Construction to handle a range of needs including inspections, new roof installation, repairs, and maintenance. Roofing Giant provides customers with highest quality work and materials that ensure a durable roof. The Dallas-area contractor specializes in providing homes and businesses with exceptional roofing services that enhance the beauty and value of client properties. Roofing Giant maintains the necessary insurance to perform top notch roof repairs and replacement services that exceed customer expectations. Stamper Roofing maintains a reputation for integrity, experience, and high-quality service to Dallas-area customers. The fully insured, reliable roofing provider specializes in performing expert inspections, installation, and regular maintenance to homes and businesses. Stamper Roofing enjoys an A+ BBB rating and has over 19 years of experience replacing roofs due to hail damage. Customers can rely on the trusted family business to deliver impeccable service and the best materials on the market. Superior One Roofing has the expertise and experience to handle jobs of all sizes. The Dallas-area contractor specializes in performing top-notch roof repairs, maintenance, and new roof installation services. Superior One Roofing commits to providing commercial and residential customers with quality service and personal attention that exceeds expectations. The fully licensed, insured, and certified roofing professionals employ experts to work on all roof types including shingle, tile, metal, and flat. Triumph Roofing and Construction specializes in installing all types of new roofing systems. The Dallas-area business provides comprehensive services for all roof repair and maintenance needs. Residential and commercial customers can rely on the team of professional roofers to deliver top notch replacement, inspection, and insurance assistance. Triumph Roofing and Construction employs cutting-edge tools and equipment, as well as a warranty with every new roofing system.